Revelation is undoubtedly a unique book. While considered part of the New Testament, it is different from other books of the New Testament. More importantly it is different from styles of writing used today. Revelation is apocalyptic. The word ‘revelation’ in Greek is apokalupsis, which means ‘an uncovering’ or ‘unveiling’. Thus, Revelation is a book that was intended to reveal, not conceal! The book is an example of apocalyptic literature. Revelation is challenging to people today who are often unfamiliar with apocalyptic literature and Old Testament symbolism. Also most Christians today are unfamiliar with the historical background of the book. Therefore, passages are interpreted literally that should be viewed symbolically. Consideration of the historical context is also critical to the proper interpretation of the book. Also, we must interpret it in a manner that would have been meaningful to those to whom it was addressed. There are four (4) different views of interpretation for Revelation: The Futurist View; The Historicist View; The Past Fulfilled View; and the Idealist View. Let’s briefly examine each of these views. The Futurist view, apart from the first few chapters, sees Revelation as depicting events that immediately precede the second coming of Christ. This view holds that most of the book has yet to be fulfilled (or is being fulfilled now). Its’ value then is primarily for Christians who would be living at the time Jesus returns. This view believes that this present generation will live to see most of Revelation fulfilled. The Historicist view sees Revelation as providing a panoramic view of the future of the church as it progresses through history. Historicists find in the book such events as the rise of Catholicism, Islam, the Protestant Reformation, world wars, etc. They view the book ending with the return of Christ. This view would tend to encourage Christians no matter when they lived. The Past Fulfilled view sees either all or most of Revelation as fulfilled in the first century A.D. or shortly thereafter. This view interprets Revelation as being written primarily to encourage the original readers in the first century A.D. It’s value for today would consist of teaching the value of faithfulness to God in this present day. The Idealist view sees Revelation as not dealing with any specific historical situation. It simply illustrates the principle that good will ultimately triumphs over evil. Therefore, according to this view, Revelation applies to any age. Thirty-three years ago I was taught the “futurist” view of Revelation. I was not even aware that other views existed. Now I do, and I have to honestly admit that there are some serious problems with the “futurist” view. Likewise, there are valid reasons for the “past fulfilled” view. For example, John addressed Revelation specifically to seven churches in Asia: Rev.1:4 “John to the seven churches that are in Asia”. It was to reveal “things which must shortly come to pass” (Rev.1:1,3; 22:6,10). Jesus told John, “Do not seal the words of the prophecy of this book, for the time is at hand” (Rev 22:10). Compare the last point with Daniel 8:26. Daniel was told to “shut thou up” his vision, “for it shall be for many days”. The fulfillment of Daniel’s vision was within several hundred years of its writing. John, however, was told “do not seal” what he had seen “for the time is at hand”. How is this possible if most of Revelation refers to what has yet to occur two thousand years into the future? Remember Revelation was addressed to Christians in the first century A.D. Put yourself in their place. As they anxiously read John’s letter entitled “Revelation” don’t you think it would have comforted them and reveal things that would “shortly come to pass”. If the futurist view is correct, how do events at least 2000 years in the future help them? What if you received a letter from an old friend who mentioned events that would soon take place, but in reality would not occur for another 2000 years, in 4000 A.D.? Would that be of any real comfort? This is the problem I see with the “futurist” view of Revelation. There are two different views of the dating of Revelation: The early date and the late date. Simple right? There are whole books written on the dating of Revelation. So my comments are not an exhaustive study of the topic by any means. The early date view believes Revelation was written around 64 to 68 A.D., during the reign of Nero and the destruction of the Temple in Jerusalem. The Syriac version of the New Testament, dating back to the 2nd century provides external evidence for the early date. The Muratorian Fragment (170-190 A.D.) and the Monarchian Prologues (250-350 A.D.) claim that Paul wrote to the seven churches after John wrote Revelation. Both place the book of Revelation even before some of the Pauline epistles according to the Expositor’s Bible Commentary, Vol. 12; p. 406. The late date view believes Revelation was written around 95-96 A.D. toward the end of the reign of Domitian. A statement made by Irenaeus supports this view. Irenaeus lived in the late 2nd century A.D. Irenaeus stated that the apostle John “saw the revelation” at the close of Domitian’s reign (A.D. 81-96) – Contra Haereses 5.30.3; ANF, 1:559-60. However, his statement is rather ambiguous and can be understood in several ways. Besides, if the book were written toward the end of Domitian’s reign wouldn’t that make it a rather belated word of comfort? I believe that the early date is the preferred view because of not only the external evidence but also the internal evidence. The early view puts the writing of Revelation before the spring of 70 A.D., during the reign of Roman Emperor Vespasian. The early date has the book written before the destruction of Jerusalem which occurred in the fall of 70 A.D. The first internal evidence is the eight kings mentioned in Revelation 17:9-14. We know that “kings” are “emperors”. Therefore, if we start with Roman Emperor Augustus, the first five are Augustus, Tiberius, Caligula, Claudius and Nero. Nero died on June 9, 68 A.D. Could it be that Nero’s death left the empire in such an uproar that many see this event as the “deadly wound” described in Revelation 13:3, 12 and 14? You be the judge of that. Then history tells us that after Nero’s death, three men, Galba, Otho, and Vitellius, tried in vain to hold the empire together. However, it was Vespasian who restored order in 70 A.D. The “past fulfilled” view sees this as the “deadly wound” that was healed. Then Vespasian would be the sixth “king” or the “one is” in Revelation 17:10. This would make Titus the seventh and Domitian the eighth emperors. Notice carefully what is said about the beast in Revelation 17:8,11. John was told that the beast “is not”. It “was” and “shall ascend out”. At the time Revelation was given, the beast “is not”! If we understand that the “beast” represents imperial Rome as personified in its emperors Nero and Domitian, then Revelation could not have been written during the reigns of either Nero or Domitian! The condition of persecution in Asia Minor as mentioned by John. Peter also wrote to Christians in Asia Minor, just a few years before. For example 1 Peter 1:1 (KJV) states: “Peter, an apostle of Jesus Christ, to the strangers scattered throughout Pontus, Galatia, Cappadocia, Asia, and Bithynia.” They were suffering similar persecution as referenced in 1Peter 1:6; 4:12; 5:9. Persecution came from the Jews with the help of Roman authorities as mentioned in Revelation 2:9 and 3:9. This persecution was going on since the days of Paul’s missionary journeys as documented in Acts 13:50; 14:5,19; 17:5-8,13; and 18:12. “It was at this unique juncture in the history of mankind that St. John, with the consuming fire in Rome and the infernal spectacle of the Neronian persecution behind him, the terrors of the Jewish war and the Roman interregnum around him, and the catastrophe of Jerusalem and the Jewish theocracy before him, received those wonderful visions of the impending conflicts and final triumphs of the Christian church. His was truly a book of the times and for the times, and administered to the persecuted brethren the one but all- sufficient consolation: Maranatha! Maranatha!”– Philip Schaff -, History of The Christian Church Vol. I, pp. 836-838. Why Did John Write Revelation? Another purpose of Revelation is to reveal the judgement to come. It was a revelation from Christ concerning the judgment to come upon those who were persecuting His people (Rev. 6:9-11; 16:5-7). This judgment was directed especially toward two enemies, Mystery Babylon, the harlot and the beast (Roman Emperors & Government) that supported the harlot. Who was Mystery Babylon – The Harlot? Many think the harlot or Mystery Babylon is Rome. However, I believe it was Jerusalem. That is the old city of Jerusalem destroyed in 70 A.D. by the armies of Titus. If we assume this is the case, then Revelation describes the fulfillment of Jesus’ prophecy found in Matthew 23:29-39 and Luke 21:20-22. I believe that the beast of Revelation is the Roman empire led by her persecuting emperors (e.g., Nero, Domitian). The Roman empire at first supported the “harlot” (apostate Israel) in her persecution of God’s people the Christ-believing Jews. The “Beast” of the Roman Empire then turned on the “harlot” (apostate Israel). This had its culmination in the destruction of Jerusalem and the Jewish Temple in 70 A.D. Since that time there has not been a Temple in Jerusalem nor old covenant animal sacrifices. Jesus Christ was our perfect sacrifice. In my opinion, the purpose of Revelation was to reveal how Christ would bring judgment on Jerusalem and Rome for their rejection of God and the persecution of His people. This began with the destruction of Jerusalem in the fall of 70 A.D. Judgement continued until Rome stopped the persecution in 313 A.D. This was the year that Constantine became an emperor supportive of Christianity. For the faithful, persecuted disciples, Revelation was a book of comfort. There are elements in the book that most view as still future. Such as the ultimate defeat of Satan mentioned in Revelation 20:7-10; The final judgment in Revelation 20:11-15 and the eternal destiny of the redeemed in Revelation 21:1-22:5. The Book of Revelation should encourage us today just as it did Christians living in the seven cities of Asia. 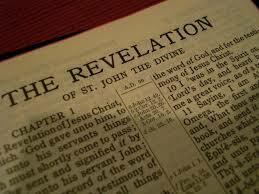 We must be willing to let the Book of Revelation speak for itself. Study Revelation in the context of its historical and biblical setting, not today’s news headlines. Failure to study Revelation in this manner will result in all kinds of fantastic interpretations which do not have their basis in the clear teachings of other scriptures.